The Texas Hill Country is dotted with car dealerships, but if you’re looking for a brand-new Honda for an amazing price, you don’t need to look beyond Fernandez Honda. Our dealership is conveniently located in San Antonio and easily accessible for shoppers in and around Universal City and Helotes. One glimpse at our huge inventory of new Hondas and you’ll find a fantastic selection with prices that will make your purchase even more satisfying. Plus, we have special offers and incentives that can make the CR-V, Accord, or Odyssey you’re looking for more affordable than you ever imagined. Visit our San Antonio dealership today and find exactly the right vehicle for a price you’ll have to see to believe! 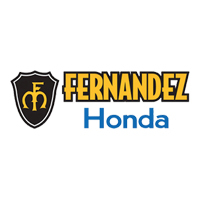 For San Antonio’s used car shoppers, Fernandez Honda stocks a wide selection of high-quality pre-owned cars, trucks, vans, and SUVs from many different automotive brands. Beyond the used and certified pre-owned Honda models you’ll find in our used inventory, there are models from other popular brands like Toyota, Nissan, and Hyundai. Browse our selection online and then come in to test drive your favorites. With such amazing vehicles at such attractive prices, our used cars never stick around for long.